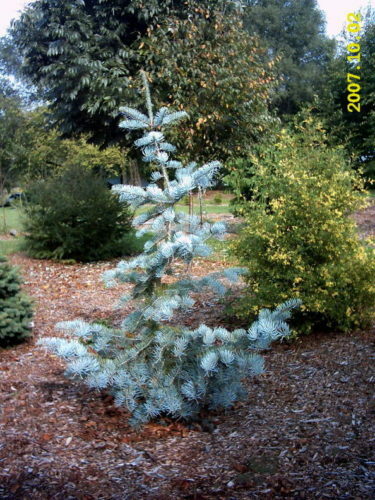 Abies concolor 'Sherwood Blue' is an upright plant with bluish foliage. In ten years 10 x 4 feet (3 x 1.2 m). Originated by Andy Sherwood, OR, USA. Abies concolor 'Sherwood Blue' Photo donation: Kenneth Marek; Adrian, MI.